Among the many attractions of living in Paris, an oft-overlooked advantage is the city’s proximity to the rest of Europe. Well, there can certainly be few places more enchanting for a weekend break than the Austrian capital of Vienna. An easy hour-and-a-half’s plane ride from Paris and you can be strolling among the splendid Imperial buildings, soaking up some Schiele in one of the excellent art galleries or sipping a steaming glühwein at a winter market. Located in the heart of Europe, on the banks of the Danube, the city dates back originally to the first century AD when the Romans established a military camp here. This later went on to become an important trading site, which in turn grew into the capital of the Babenberg dynasty, then of the Habsburgs and, ultimately, for the whole of the Austrian Empire. Today, it is widely regarded as one of the prettiest cities in Europe, one of the leading cultural destinations and, in our opinion anyway, one of the most pleasurable places to visit. In short, almost everything here is easy – from getting around to finding a place to eat to picking up WiFi. As an added bonus, the city can also lay claim to being one of the greenest in Europe, too, with over 45% of the area accounted for by gardens, parks, forests and woodland, another 15% by farmland and 5% by water. In addition, 35% of all journeys are by public transport – a European record – and then there’s the fact that a large stretch of the city’s limits is defined by the Vienna Woods. So, let’s say you have one weekend in the city; what are the best things to see and do? Well, depending on the time of year, a trip to one of the many winter markets is usually on most people’s lists – and a perennial favourite is the one in the City Hall Square. Marked at its entrance by a tall arched gateway adorned with flickering candles, the 150 stalls sell a dazzling array of Christmas gifts, tree decorations, handicrafts, culinary treats, confectionery and warming drinks. It may require a little practice, but juggling a mug of steaming glühwein and jingling coins in glove-wrapped hands is a Viennese rite of passage. What is more, it all takes place against a suitably sparkling backdrop, too, with the surrounding trees of City Hall Park festooned with strings of lights. Inside the park, visitors can skate over two large ice rinks and along numerous paths, or enjoy the wondrous installations focussing on festive stories for children. In the Volkshalle at City Hall, the little ones can also decorate gingerbread cookies, try traditional crafts and write their Christmas wish lists. Regardless of the time of year, however, there’s always a certain magic about Vienna, with a beautiful building around every corner. A good starting point is the spectacular Vienna State Opera (Wiener Staatsoper) where several tram lines, bus routes and underground lines also converge. Built in 1869, it is the world’s largest repertoire theatre, and the Renaissance-style arches make quite a spectacle. There’s also a chance to get a glimpse behind the scenes on one of the excellent guided tours (be sure to book ahead though) or why not take in one of the first-class productions in the evening. Nearby, you’ll also find the city’s most famous landmark, St Stephen’s Cathedral (Stephansdom), where the gothic spires stretch high into the sky. Dating back to the 12th century, this magnificent place of worship was where the wedding of Wolfgang Amadeus Mozart took place, not to mention many of the Habsburg Emperors. 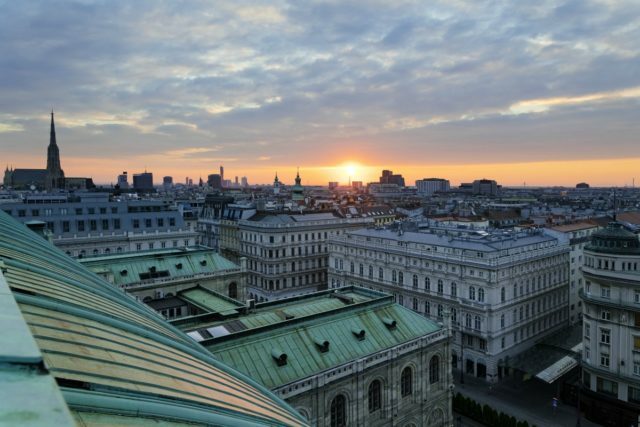 It’s well worth taking a few minutes to peer into the awe-inspiring interior, where you can also climb the 343 steps of the South Tower for a panoramic view of Vienna’s first district, or head down below to the atmospheric catacombs. 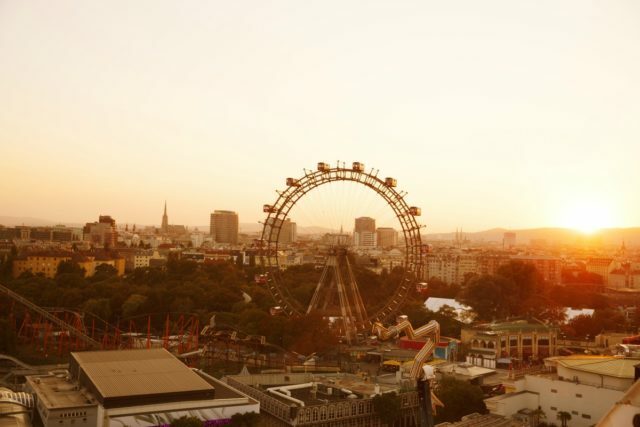 A little further out, but also a must-visit, is the Prater, the largest public park in Vienna and, famously, home to the oldest amusement park in the world. Dating back to the early 1400s, nowadays you’ll find everything from nostalgic merry-go-rounds to hair-raising roller coasters. The star attraction, however, is the Giant Ferris Wheel, which at almost 65m tall, offers breath-taking views over the city. The best time to visit is from March to October, when everything is open, though the Ferris Wheel and a few other attractions are open all year round. With enough museums and galleries in Vienna to keep you busy for a year, never mind a weekend, it’s a tough choice narrowing it down. However, for discovering the story of this famous city, it would be hard to beat the Wein. 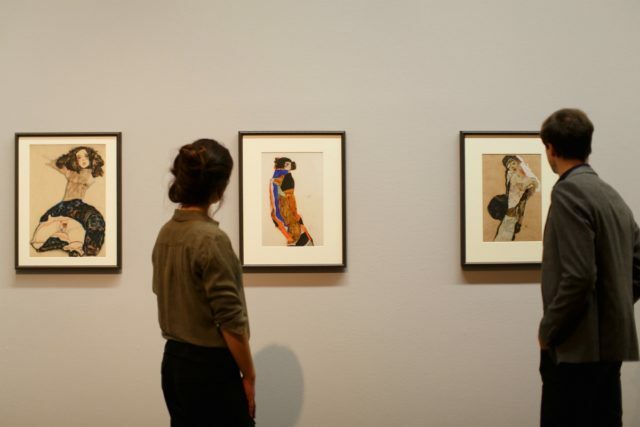 At its flagship building, the Karlsplatz, you’ll find not only a comprehensive overview of the city’s history but also of its art, with paintings by Schiele, Klimt and Gerstl. It’s also well worth making the time to visit the museum’s separate memorial houses to the great composers, too, including Beethoven, Haydn, Mozart, Shubert and Strauss. For those who fancy a bit of soul-searching, the museum dedicated to the famous Austrian neurologist Sigmund Freud also explores the influence of psychoanalysis, while art-lovers should head to the sprawling MuseumsQuartier. One of the ten largest museum complexes in the world, and located in the former Imperial stables, it houses dozens of art and cultural institutions, as well as restaurants, cafés and shops. Talking of shopping, there’s far more to be found here than just the omnipresent Mozart Balls (Mozartkugel) – a small, round sugar confection made of pistachio marzipan and nougat, covered with dark chocolate, and the classic Austrian souvenir. For something a little more unusual, head to the fantastic flea market, which takes place against a backdrop of beautiful architecture on both sides. Here you will find everything from traditional jumpers, vintage clothing and snug coats to Turkish rugs, interesting furniture and local foods. Or, if time is a little too tight for treasure-hunting in the market, the new luxury shopping area in the Old City, the Goldenes Quartier, offers exclusive flagship stores of Louis Vuitton, Emporio Armani, Miu Miu, Prada and Saint Laurent. Also, be sure to check out the fantastic creations at the two millinery stores of Mühlbauer Hutmanufaktur. If you’re looking for foodie treats, you should take a trip to the century-old open-air market, the Naschmarkt, filled with colourful stalls stacked with local and organic produce, spices and baked goods. Interestingly, Vienna is also the only major capital with a significant wine-growing industry – cultivating mainly white wines on some 700 hectares – within the city limits. To see the city’s vineyards, head to Neustift, Grinzing, Stammersdorf or Jedlersdorf. Be sure to visit a Viennese heuriger, too, the uniquely Viennese style of wine tavern, to sample some of their finest vintages. For a traditional Austrian meal, featuring staples such as knödel, schnitzel and kürbiskernöl, one of our favourite places is Königsbacher bei der Oper. With friendly service, good beer and a garden terrace during the summer, it’s just the ticket. Or for something a little bit different, inside the city’s colleges and universities, you’ll find subsidised canteens where access is generally unrestricted. Perhaps even more surprising, the food can be pretty decent too. For example, at the Akademie der Bildenden Künste, you’ll find a magnificent interior, large beers at bargain prices and plenty of hipster art students. The veggies are in for a treat, too, with one of the few Michelin-starred vegetarian restaurants, Tian, to be found in the city. Another must, of course, is to while away an hour at one of Vienna’s famed coffeehouses. Among our own faves are Café Landtmann and Café Sperl for the truly authentic experience, and Supersense for a more modern vibe. For something a little stronger, head to the Loos American Bar, designed in the early 1900s by the controversial artist and architect, Adolf Loos, a pioneer of modern architecture in the city. Of course, a visit to Vienna would be incomplete without a concert, opera or musical performance – but how to go about choosing? Well, actually, there’s a brilliant events database on the #ViennaNow website, which provides something to suit all tastes. In addition, do take in a ball, if you possibly can. A unique blend of age-old Austrian traditions and magnificent court ceremony, each year the city hosts around 450 such events, with the season starting from November and continuing through to springtime. They range from elegant high society galas to more carnival-style parties, but you can rest assured that they will all have a beautiful personalised invitation, a strict dress code (women are expected to wear full-length gowns while the gentlemen must wear tails or a tuxedo) and the distinctive strains of the Viennese waltz. When the stroke of midnight strikes, modern-day Cinderellas can lay their heads at a host of excellent hotels across the city. For beautiful contemporary style, go for the Grand Ferdinand, where they also pride themselves on a price point for everyone. While the suite will set you back 1,500 euros a night, they also offer dormitory style accommodation for 30 euros. 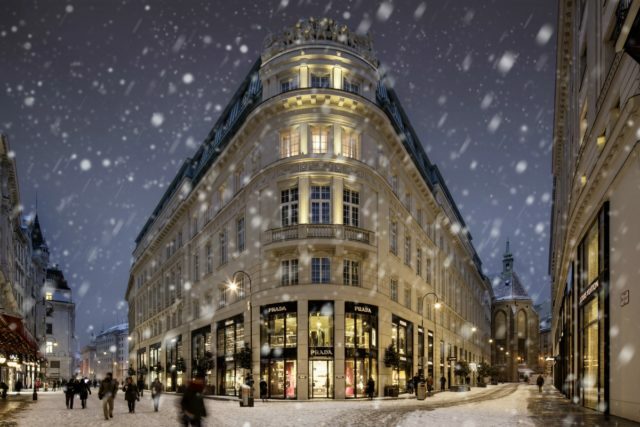 For all-out lux, Hotel Sacher, the Park Hyatt Vienna and Palais Hansen Kempinski are the places to stay, and you can’t go wrong with any of them. 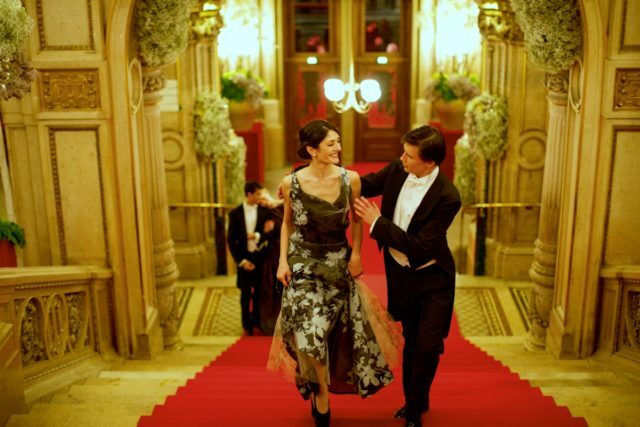 Perhaps our favourite of all though, certainly for capturing the old-fashioned romance of Vienna, is the Hotel Imperial. Originally created in 1863 as the Viennese residence of the Prince of Württemberg, it was transformed into a hotel for the universal exhibition of 1873. So, there you have it; a weekend whirl around Vienna! And with so much to enjoy, we reckon that it won’t be long before you’re waltzing back there again for another visit.